Book Cover Designer Name: Enggar Adirasa for cover art. Frank Hall for layout. On the island of Cercia, the gods are dead, killed by their followers and replaced with the study of magic. Magicians are forbidden to leave their homeland. Laws bind these men that prevent them from casting spells on the living—whether to harm or to heal. Quentin, a young nobleman, challenges these laws out of love for his wife. His best friend, Asahel, defies authority at his side, unaware that the search for this lost magic will bring them both to the edge of reason, threatening their very souls. The Universal Mirror shows how far two men are willing to go for the sake of knowledge and what they will destroy to obtain it. Voting starts each month on the 11th - after all the nominees have been revealed. To vote we are now trying out a different method this month. 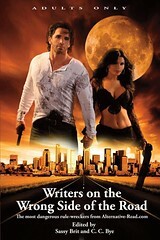 You must leave a comment on the post that has the book cover you want to win. 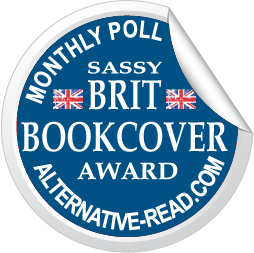 One comment = One vote - per person per book. You may vote on more than one book cover, but not more than once per book cover. Voting starts on 11th. Any duplicate comments or comments made before the 11th of each month, will not be counted. This is an awesome cover! The Universal Mirror has a beautiful cover. +1 Vote! I am an artist, and I am voting for this one b/c it is AWESOME art! It is not just some "photoshopped photo" like so many other book covers. Painting like this takes REAL skills! 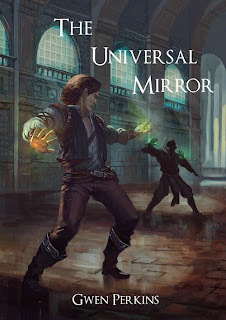 Universal Mirror has my vote! I really like this cover. It would definitely make me pick up the book, wanting to know more. +1 vote for THE UNIVERSAL MIRROR. That cover rocks! Wonderful artwork; brilliant design! The cover pulls me in and leaves me yearning for more. +1 Vote. Absolutely has my vote! The cover depicted the story perfectly! Love it!